Propane and wood burning fireplaces are a cost effective way to keep your home cozy and comfortable, especially this time of year! However— No matter what kind of fireplace you own, if the wind gust is powerful enough and/or it hits the same direction your vent is facing, high winds may affect your fireplace’s performance. Here is some additional information and a few tips to help you get the most out of your fireplace, in the worst of wind conditions! 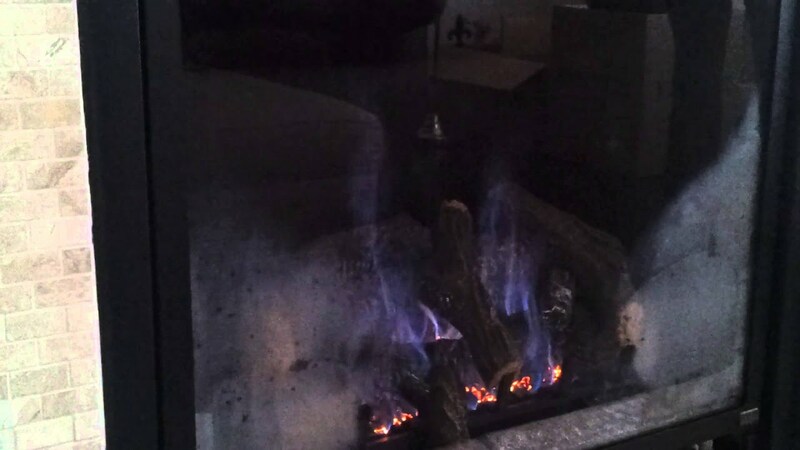 Have an issue getting your fireplace to light or stay lit during high winds? This usually means there’s an imbalance of oxygen and gas inside of the unit, due to the power and direction of wind gusts. Does the flame look small, slow, blue and more transparent? That means not enough air is getting into the unit. Too much air is getting into your unit. Sometimes the winds are only strong enough to affect start- up; Once the flame is going it’ll usually sustain itself through the winds. 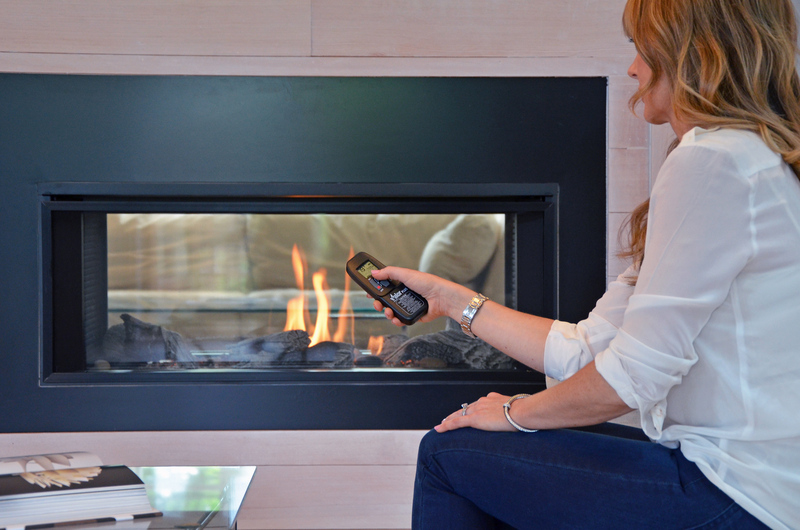 Listen to the wind gusts outside and ignite your fireplace between wind gusts. It may take a few lighting attempts, depending on how high the winds are and what direction the vent is. We have a wind guard available that bolts directly over the propane termination, still provides proper air flow and protects the vent from heavier winds and snow. 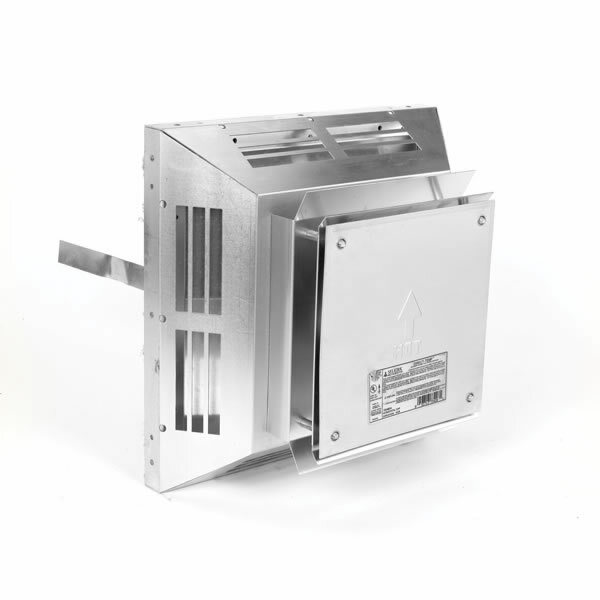 Measure your vent dimensions and drop by our store to see if our wind guard will fit over your vent! High winds can bring back drafting, which is when the smoke blows back into your home. This happens when air pressure outside is higher than the air pressure inside. When you add in high winds, it brings the cold from outdoors back down your chimney and into the room. Chimney caps prevent downdraft and also keep debris/water from entering the chimney. The caps cover the top and sides so if a wind is strong enough to knock the cap off, that may be your issue! All you have to do is look at the top of your chimney and see if your cap is still there. If it isn’t, wander around your property until you find it and feel free to bring it in and have us inspect it and see if it is still usable. In extreme circumstances where you are in an area that is normally known for high winds, there are special heavy- duty anti-down draft caps you can buy that are stronger than the standard chimney cap. Sometimes you will not know you need this until you are using your wood unit consistently with a regular chimney cap. Chimney height depends on roof pitch and what’s surrounding your home. Your chimney height may have been good at time of construction but has anything built up around your property since then (Other houses, trees) that could lead to you requiring a chimney height change? If too short, wind blowing across the room will go directly down the chimney. If too high, the chimney can create additional draft. Even a few inches off from required chimney height could cause backdraft. We hope this short post gives you more clarification on what happens to fireplaces during high winds. If you have any additional questions, feel free to drop by our store on 1053 Topsail Rd or call 709-364-1378.